What is a green tax shift? The only registered party that supports carbon taxes instead of carbon trading is Conservatives For Climate and Environment. They have senate candidates in NSW, Vic and WA and lower house candidates in NSW. Please consider voting for them if you are voting below the line or if you approve of their preference deals (Coalition before Greens and Democrats with Labor last). Two new parties that are not yet registered also support carbon taxes: the NewAustralia Party, and of course the Sustainability Party. If you are a member or supporter of any other party please ask them to reconsider carbon taxes. There is clear support for carbon taxes instead of trading schemes among economists and only public ignorance and the vested interests of big polluters is holding the idea back. This is a crucial time for action as the tide is turning on the climate debate in Australia. We must make sure we get the solution right, or we will be delayed another decade in achieving real change. View list of forum discussions about economics, climate change and energy or the water crisis. A Green Tax Shift is a way to address global warming, create jobs, save the environment, strengthen our economy and reduce our dependence on middle eastern oil, all at the same time. For greenhouse emissions, it could involve reducing income tax for low income earners and increasing the tax on coal (=electricity), oil, gas, beef, milk and cement. 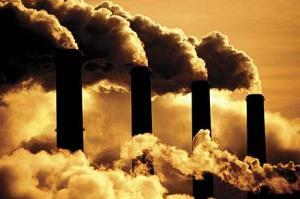 The increase in tax on each product would depend on the amount of greenhouse emissions from it. The decrease in income tax would be set so that government revenue was unchanged. Income tax at the low end would be the best option for the decrease because it would result in the least change in the distribution of wealth and would create more jobs. Petrol will not bear the brunt of the price increases because it causes only a small fraction of our greenhouse emissions. This method of reducing greenhouse emissions is preferred by economists. It is the least costly way to reduce carbon emissions. If you consider the negative impacts of global warming to have real economic value (ie, would people pay to get rid of them?) then it will actually strengthen the economy. This is because not charging companies for the right to pollute is effectively subsidising pollution. A green tax shift reduces a complex decision with multiple issues to consider to a simple decision based on one factor alone - cost. It ensures that each member of a society places equal weight on carbon emissions in purchasing decisions (at the very least - they can still place a higher weight on emissions). This is how a green tax shift ensures that the easiest available options for reducing emissions are chosen first. A green tax shift is better than carbon trading because society is effectively renting out the right to pollute, rather than giving the rights away for free. It allows you to reduce other taxes to offset the increase in the price of petrol etc, rather than just having an increase in price with the extra money going to oil companies. It is also the more moral choice, because the right to clean air should rest first and foremost with the public, rather than the right to pollute resting with companies. A Green Tax Shift is more flexible, as the taxes can be adjusted as is necessary or as more information about global warming becomes available. Overtaxing slightly will not harm the economy as it will just be an alternative form of revenue raising. Carbon trading may require governments to buy back emissions rights at hugely inflated prices (= profits for greenhouse emitters). Or, as is currently the case, the emissions rights may become worthless due to minor adjustments made by industry that have a big impact on carbon emissions, or other changes that limit industrial activity in participating countries. A green tax shift would produce the smoothest transition to a low carbon economy, because the cost of emissions is steady, while actual emissions fall gradually. Carbon trading requires a limit on emissions, which means a sudden drop in emissions and a sudden spike in the price of emissions rights. A sudden drop requires more costly ways to reduce emissions. As industry gradually shifts to more economical ways to cut emissions, the cost of emissions could drop. This greater uncertainty and more rapid and unpredictable change will harm the economy more for the same environmental outcome. There is no 'magic number' for the amount of carbon emissions which is 'safe.' A continual steady effort to reduce emissions is more appropriate than step changes that take years to negotiate and implement. A Green Tax Shift does not require international agreements because it does not place a country at a competitive disadvantage. It can be combined with international agreements, either in the form of uniform taxes or in the form of carbon trading schemes between nations. The concept of 'low hanging fruit' is familiar to environmental organisations that have to choose how to spend limited funds to get the best results. It refers to those options that achieve the biggest payoff for the least effort or cost. There are hundreds of 'technical' solutions to global warming. With each solution, our society does not just have to decide whether to employ it, but the extent to which it should be employed as well as where and when to employ it. These decisions are complex and far beyond the scope of government. Waiting for the government to pick and choose each one will fail for the same reason that centralised planning of the economy has failed under communism. A green tax shift puts all of these decisions back in the hands of 'market forces,' which is the best way to make such complex, multifaceted decisions. It is not a 'technical' solution in the same sense that wind farms or biofuel is. Rather, it is a tool for selecting the 'low hanging fruit.' That is, it makes the adoption of the fastest, easiest and cheapest solutions inevitable. It ensures that the extent to which each solution is implemented and the details about how each is employed are based on a rational comparison of the relative marginal costs and benefits. Many people view taxes only as a revenue raising tool. They acknowledge the damage that taxes do to the economy by distorting market forces, but appreciate the need for government to raise revenue. But when it comes to the government deliberately interfering in the economy, they prefer to go for more 'proximate' actions. That is, they feel safer when government actions forbids or mandates specific actions, such as limiting CO2 emissions, mandating renewable energy targets or banning vehicles with high fuel consumption. Like taxes, such government interference also distorts the economy, but in a way that people want, rather than in the arbitrary sense that taxes affect the economy. The distortion created is actually a correction, because it is assumed that the market itself has erred. Obviously such an approach is extremely wasteful because the government is using two separate tools, both of which distort the economy, when one of the tools is often able to achieve both outcomes. It makes no sense to put up with the problems created by taxes while introducing additional distortions to the market when taxes alone could achieve both revenue raising and the market intervention that is sought. This turns the 'downside' of taxes into an upside, as both the revenue raising and the changes to the market are desired outcomes. A green tax shift kills two birds with one stone. It raises revenue and corrects market failures at the same time. It removes the 'negative' market distortion created by arbitrary taxation and instead puts it to good use by reducing those activities which the public actually wants reduced. It minimises government intervention in the economy by reducing the need for direct interference and by reducing the harmful impacts on the economy caused by arbitrary taxation.